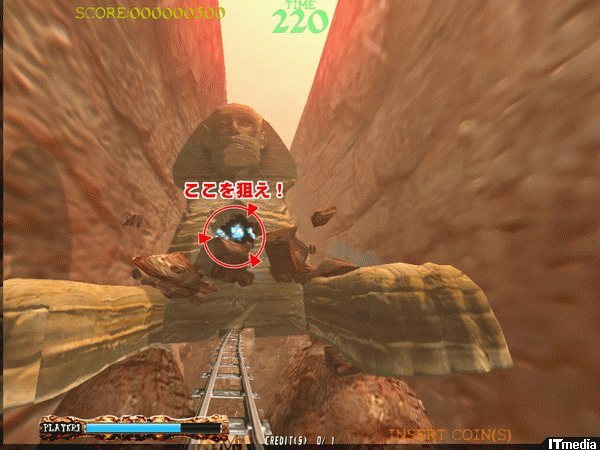 If you’re familiar with Japanese video game merchandise, you might well have heard of the clothing company Mars16. They’ve been responsible for some very tasty Sega AGES 2500 tie-in stuff in the past, and lately they’ve started doing some SNK T-shirts too. 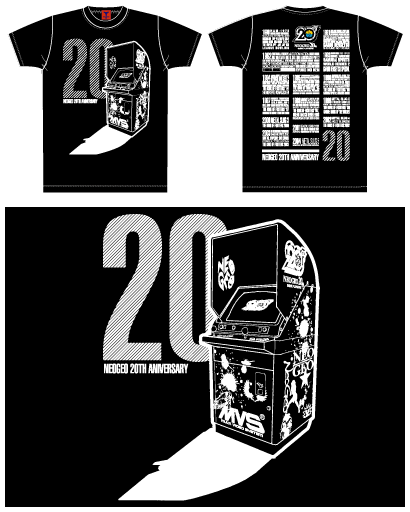 While the previous two have focused on the company’s iconic fighting series Samurai Spirits and The King of Fighters, the third SNK-related design celebrates the 20th anniversary of the legendary Neo Geo MVS hardware. 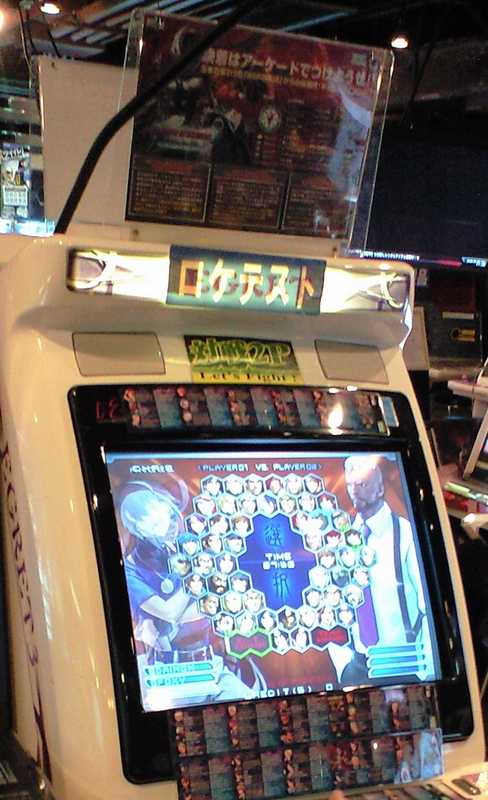 The front shows an MVS cabinet, while the back appears to list every game from the machine’s debut in 1990 to the final release, Samuarai Spirits Zero Special in 2004. As with much of Mars16’s work, this is lovely, stylish stuff. It’s also a pain to get hold of if you’re not in Japan, so you might want to collar a friend with a Japanese address and get them to take a delivery! If you know anything about SNK’s King of Fighter’s series then you know that they have introduced a lot of different characters to the game over the years and unless you are a dedicated fan then it can be a little hard to follow the details on all of them, unless you pick up this nice new KOF Character Encyclopedia that is now available in Japan. I imagine that the KOF faithful wouldn’t mind picking this up either as it is sure to include some pretty slick artwork on top of all the minute details you are sure to find there (in Japanese). Then again, according to one comment on the Amazon.jp page it doesn’t fill in the details for everything that they wanted to know so until more reviews come along I wonder if it will end up really pleasing the die-hards. 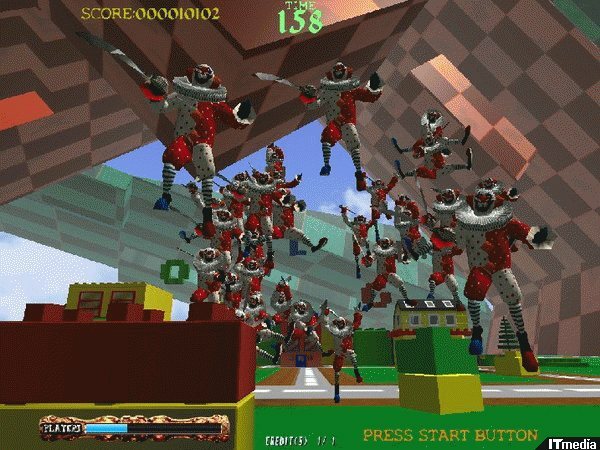 UPDATE: The Stinger Report also sent us some images of the games in London but I accidentally overlooked the attachments. 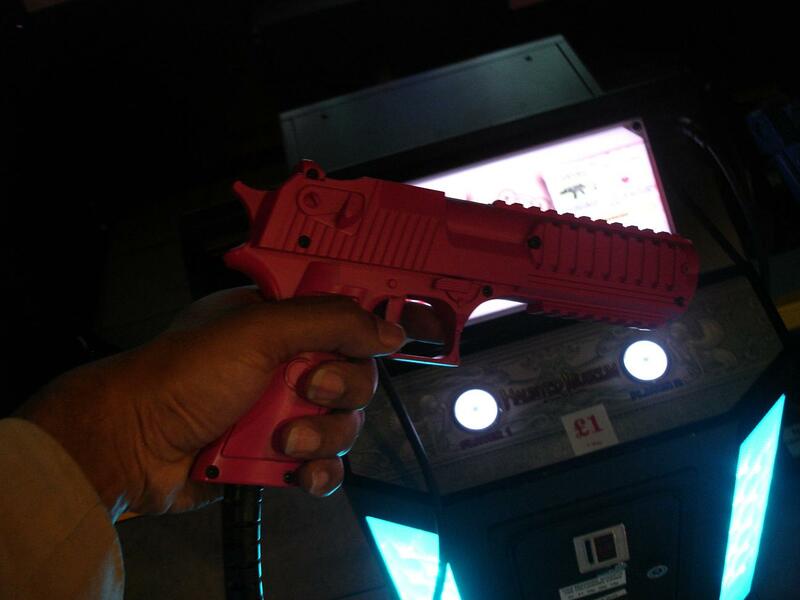 The twin gun game theatre experience incorporates impressive 3D graphics, special vibrating guns and a level of play that will give Rambo and House of the Dead a run for their money. To get a better idea of those graphics, click on the thumbnails below (images via ITMedia). 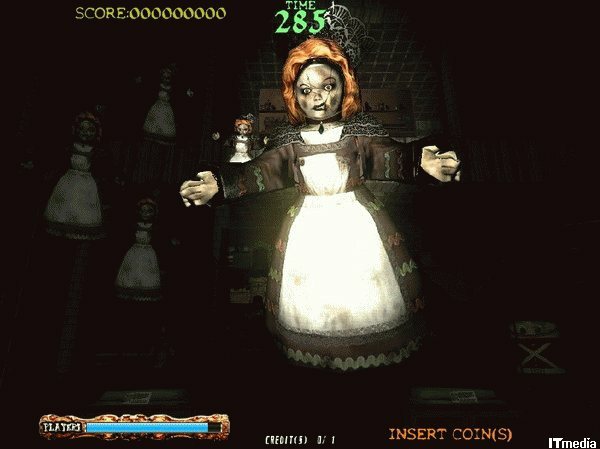 As for the cabinet, I noticed that it follows Konami’s recent light-gun game designs, as was seen with Silent Hill and Castlevania (ok, CV isn’t technically a light-gun game). 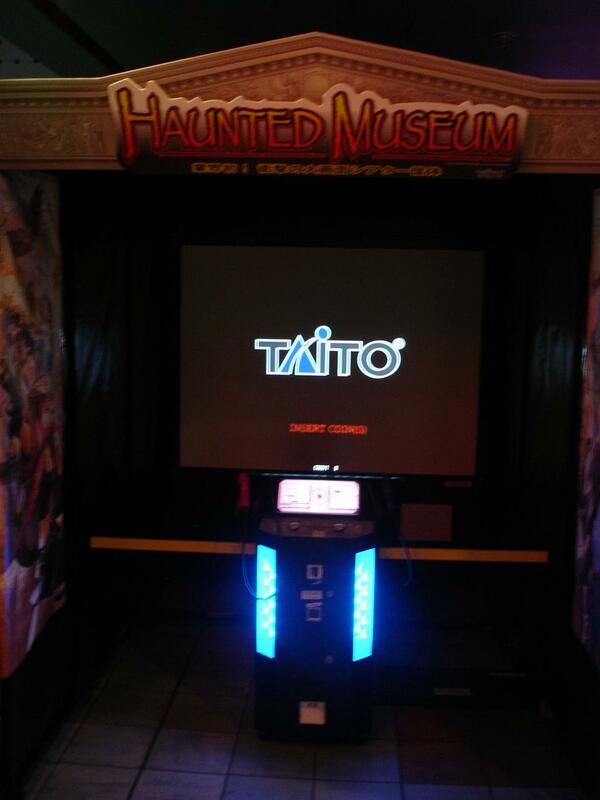 I also wonder if the Haunted Museum theme has anything to do with “Night at the Museum” with a weird edge. The themes are quite varied, from Egypt, to killer clowns to space battles so at the very least it offers something for everyone. 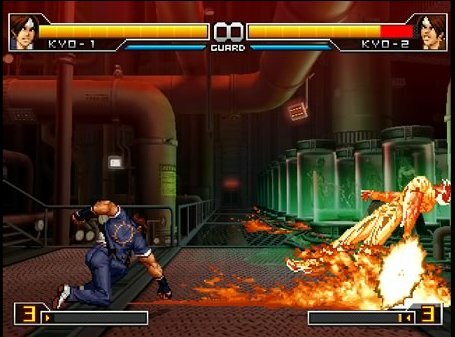 Back in 2007, SNK announced that they would be updating the ever popular King of Fighters ’98 using more modern technology and they released the game in ’08 with the name King of Fighters ’98 Ultimate Match. Now SNK has decided to do the same thing for KOF2002, giving it an “Unlimted Match” upgrade that is scheduled to be released in Japan, sometime very soon. 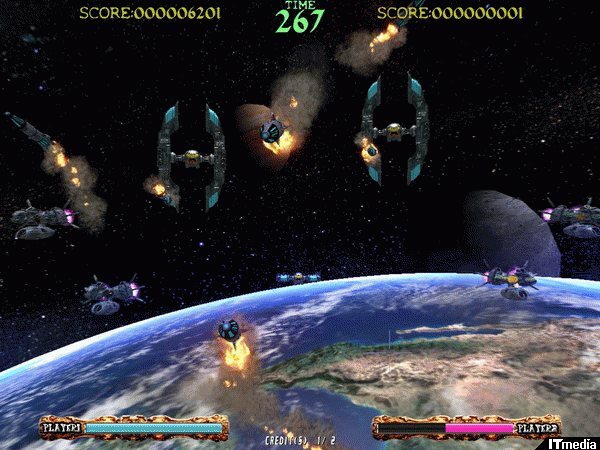 The game runs off of some new hardware that was shown at AOU 2009 known as System Board Y2 by AQ Interactive and the game has been getting a few tests in Japan already so I imagine that it won’t be long before we can import it over. April is the month that King Of Fighters XII finally arrives and with that there are a couple of things that are worth mentioning. First remember to check out the official Japanese website for the game for any updates. I know that we have mentioned the site before but the nice thing about these official sites is they start out as teasers and slowly build up from there so if you need a KOF12 fix then that is one place guaranteed to have screens of the game and more. 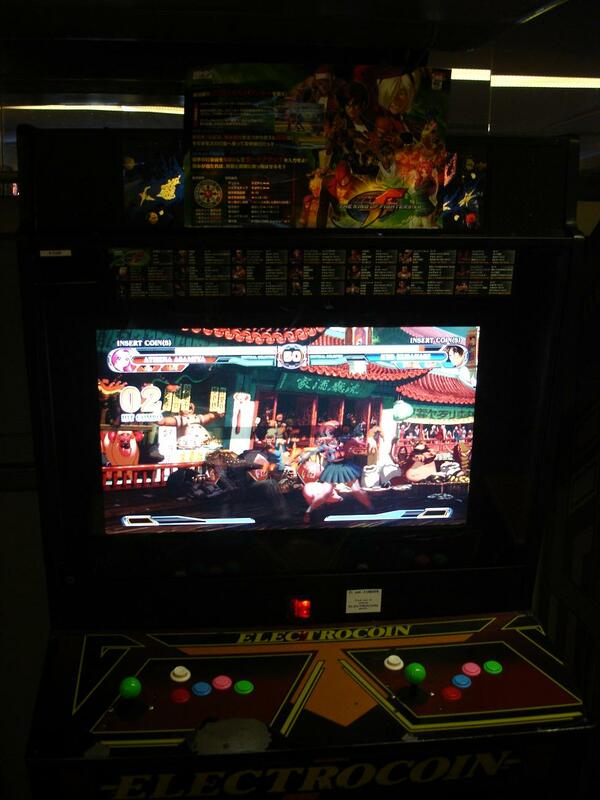 Second, would you like to have your own KOF12 arcade machine? I sure would and if you are good at fighters and particularly fighters in the vein of KOF, then you have a chance to win one. 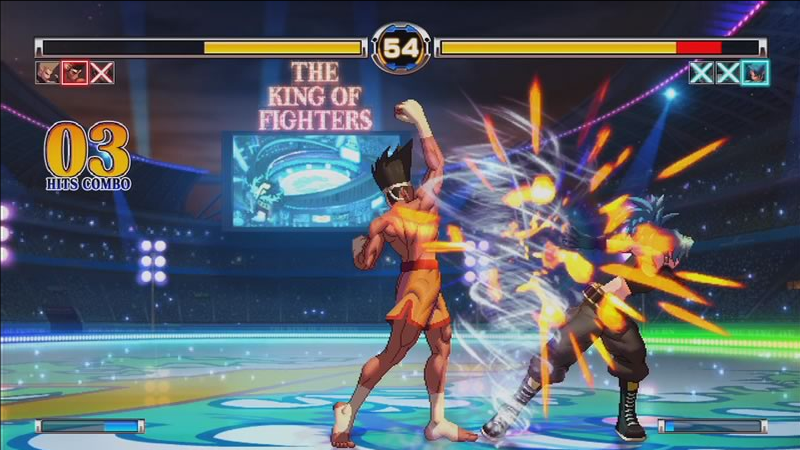 Evo and Iginition are teaming up to bring the first KOF12 tournament to the US. 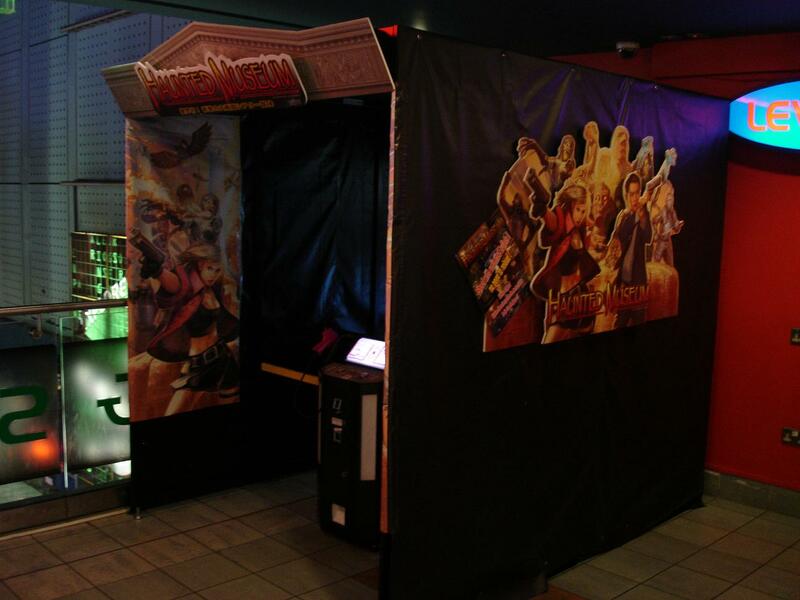 The grand prize is the aforementioned KOF12 arcade machine and the tournament will be held as a stand-alone event, separate from Evolution that is taking place in July. 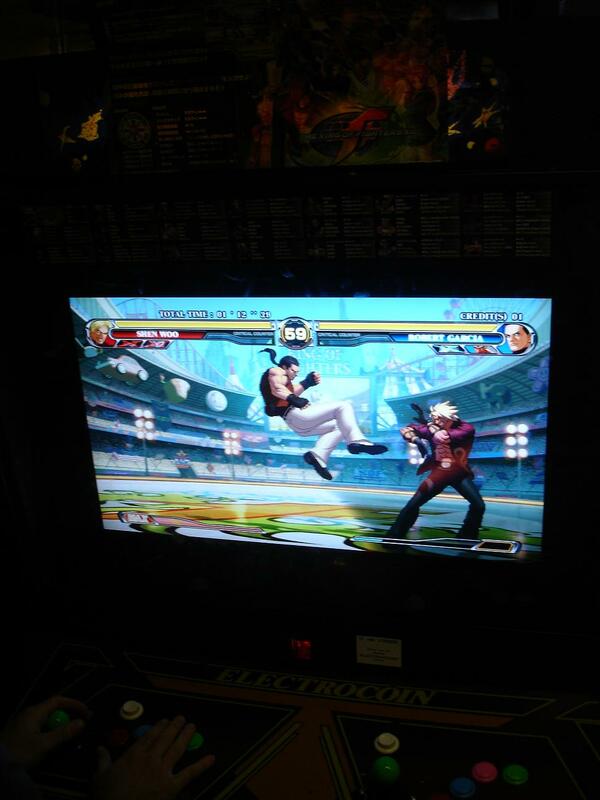 The KOF12 tourney will take place at 12PM on May 30th at Element in Hollywood, CA. They will hold a 128-man single elimination tournament which you can sign up for here. 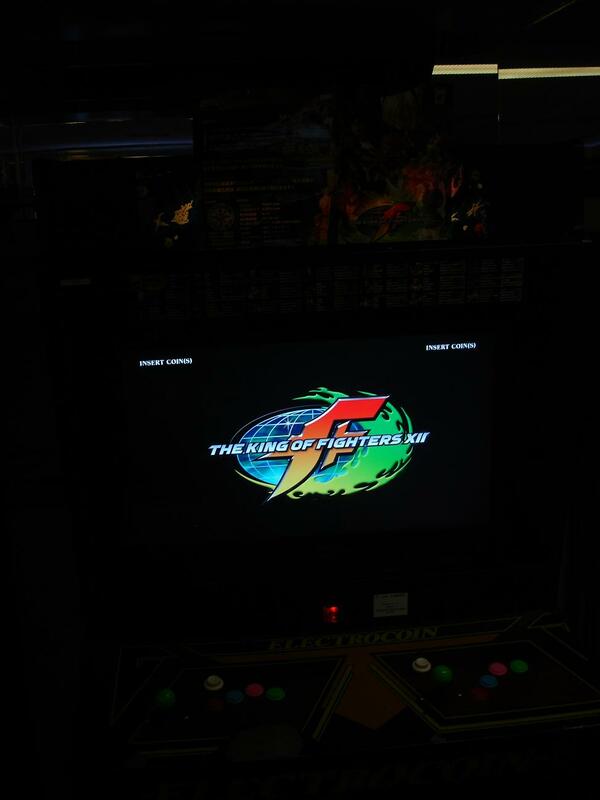 They also note that the Tilt in Portland, Ore. has a KOF12 machine – I am not sure if any other locations in the US do at this time. More info on this great KOF12 tourney can be found here.